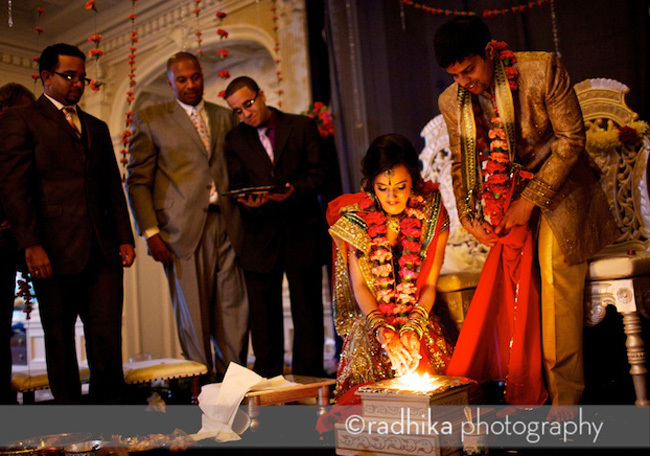 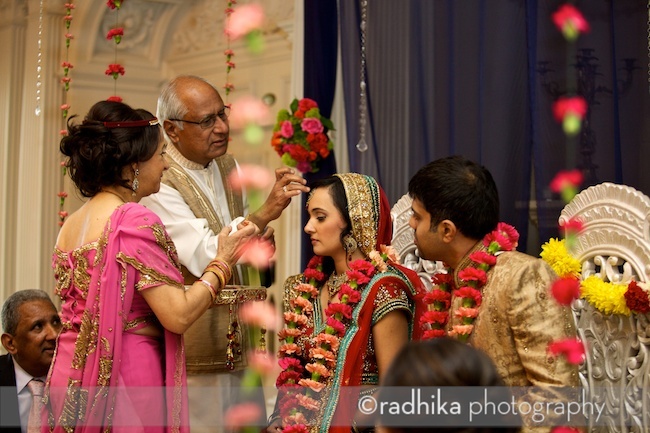 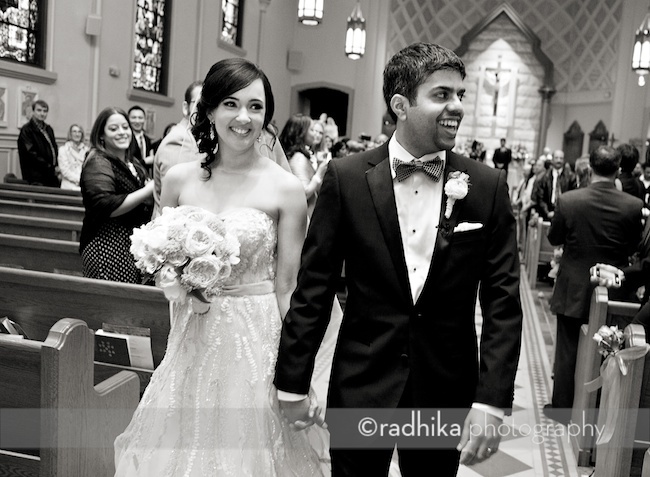 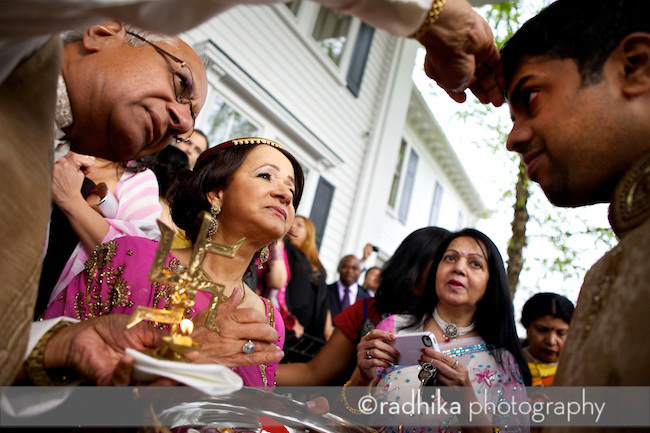 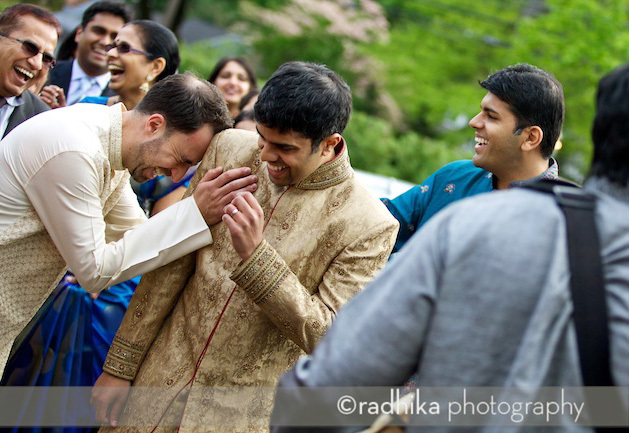 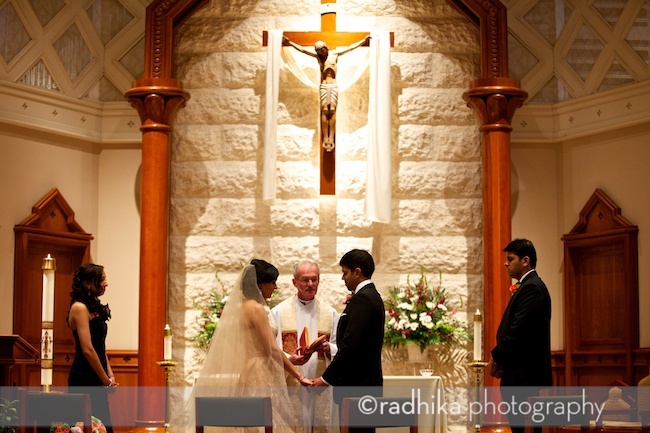 Combining a full Catholic wedding ceremony with a full Hindu one makes for a jam-packed eventful wedding day for sure especially with four locations. 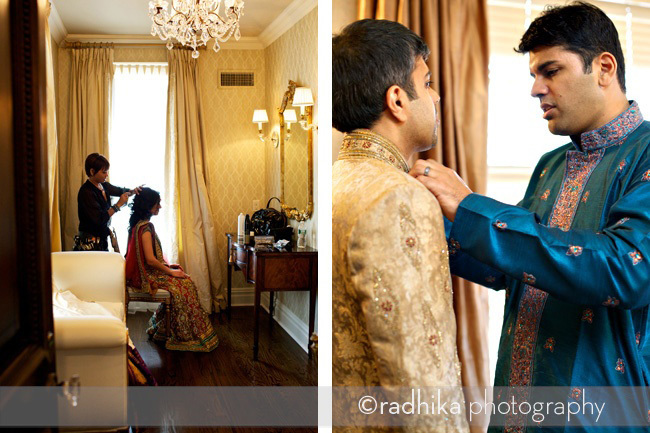 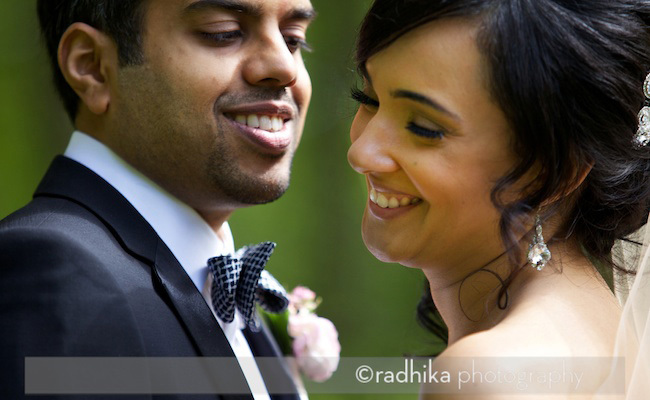 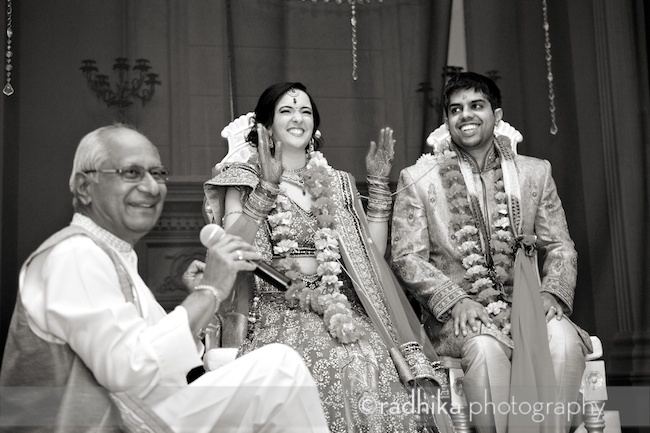 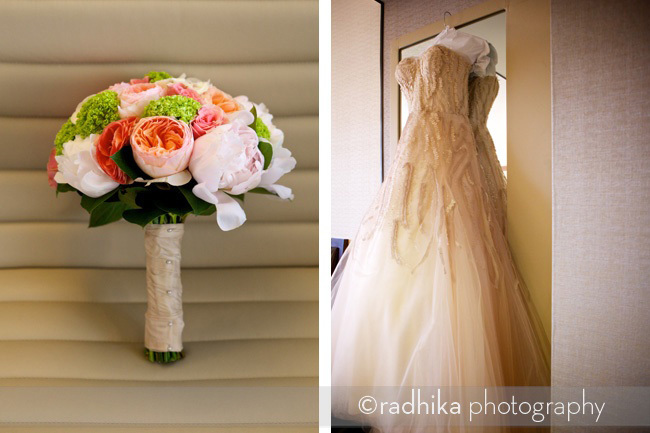 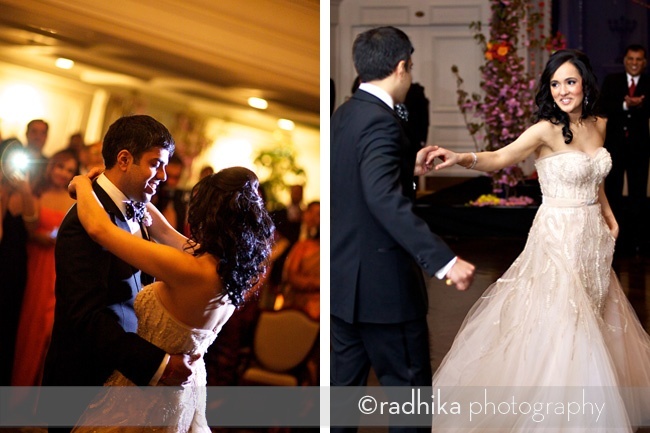 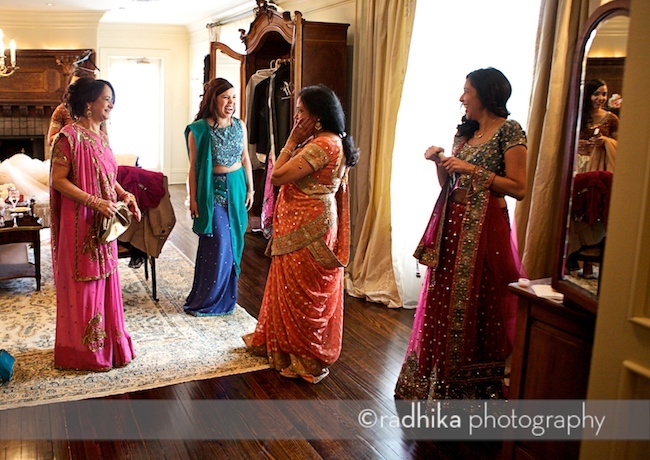 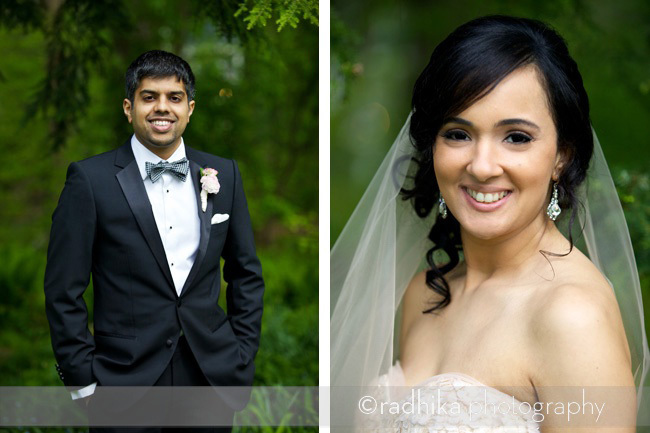 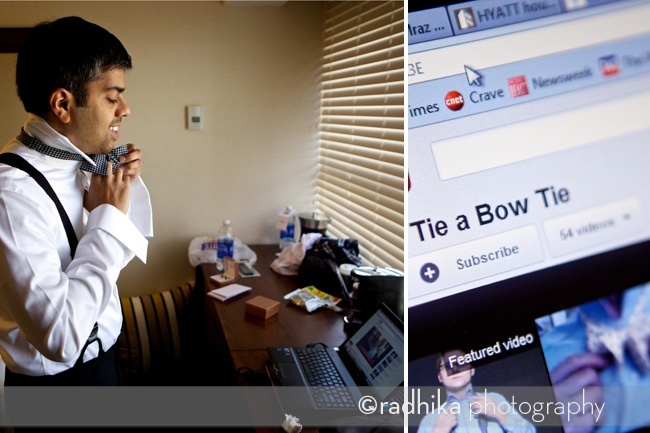 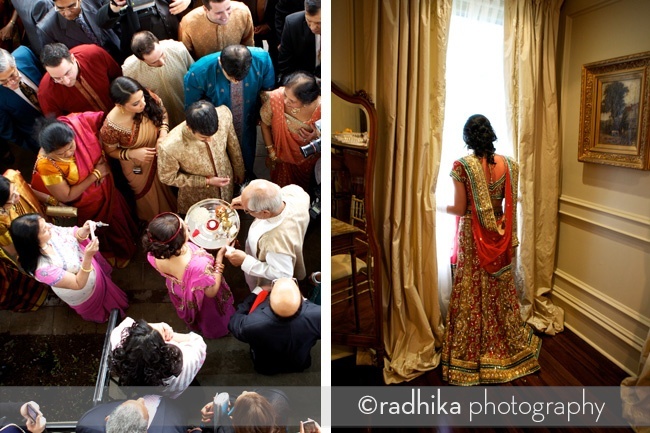 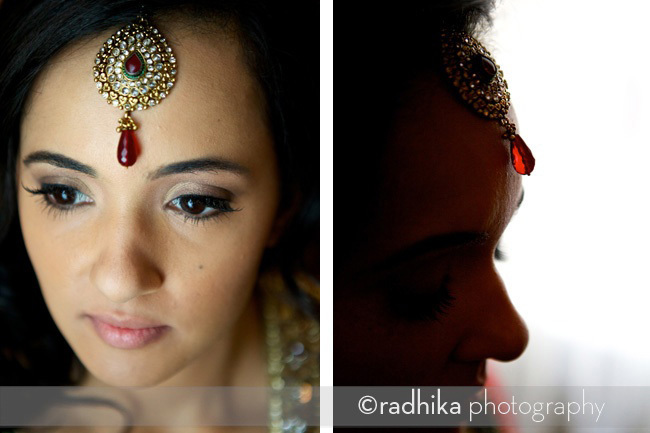 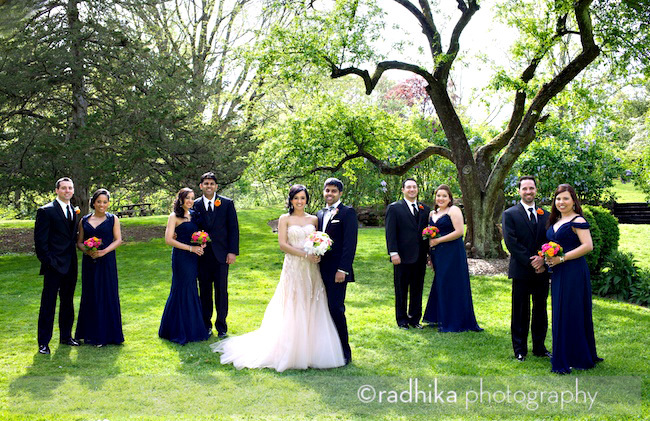 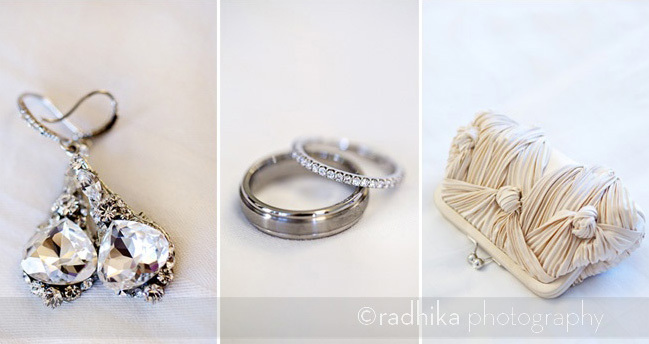 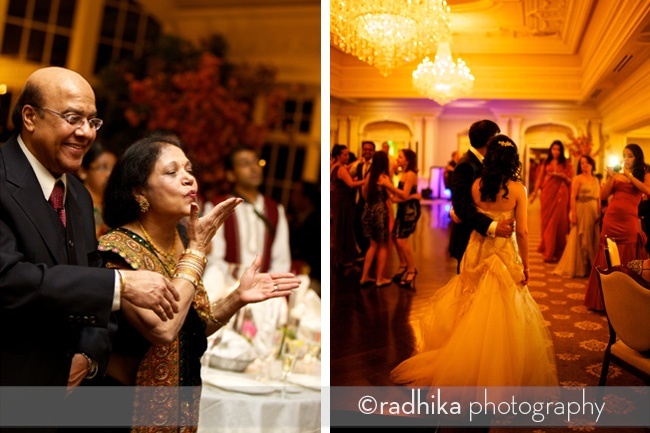 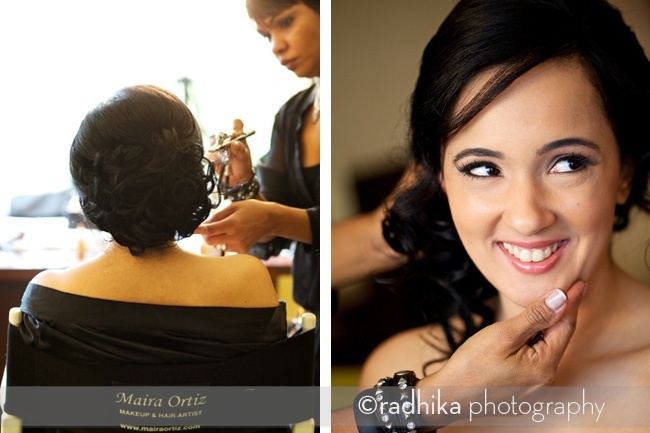 Judith and Pradeep tried to create a fusion of their personalities and their separate family traditions with Judith’s family coming from the Dominican Republic (she made a pretty impressive Indian bride though!) 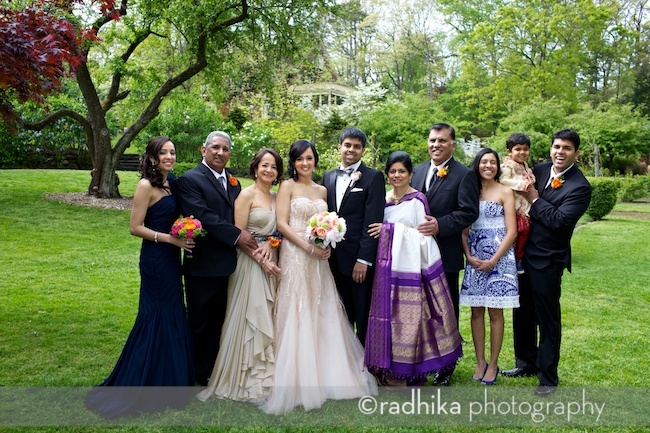 and Pradeep’s family from India. 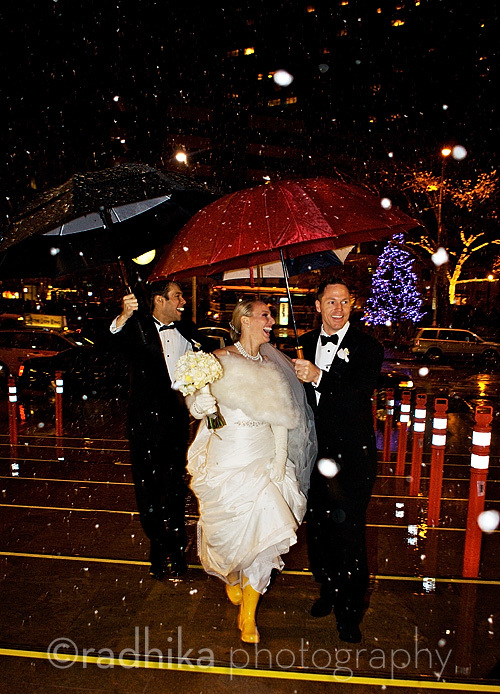 I think they did a fantastic job blending everything together. 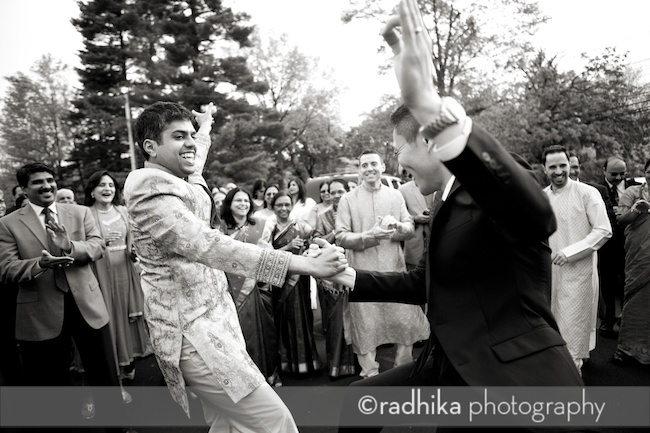 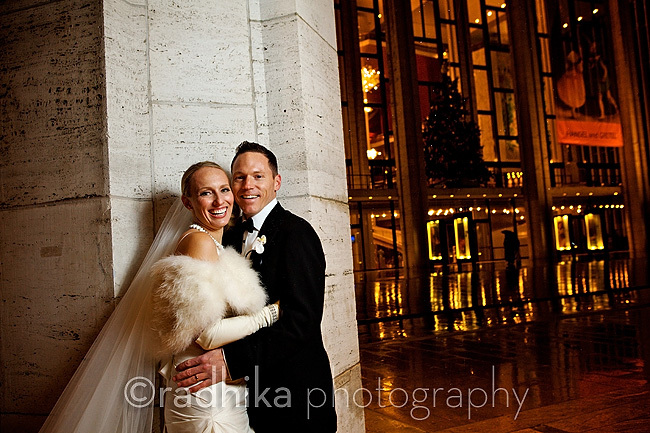 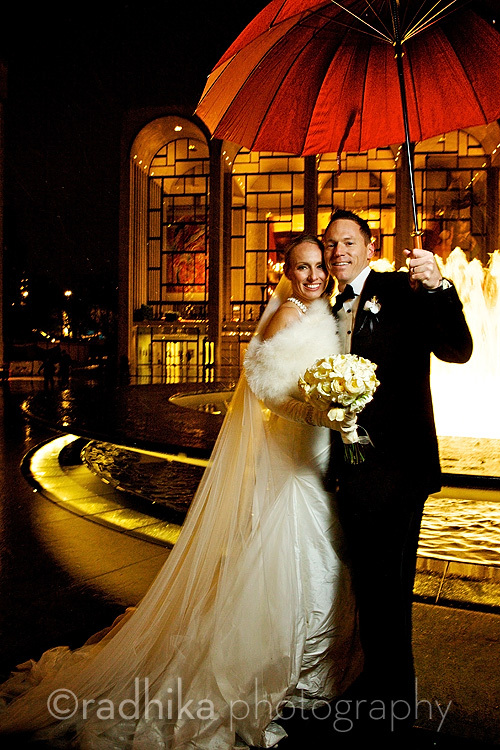 It’s what I love most about weddings in New York…the whole melting pot of cultures and traditions with an American twist. 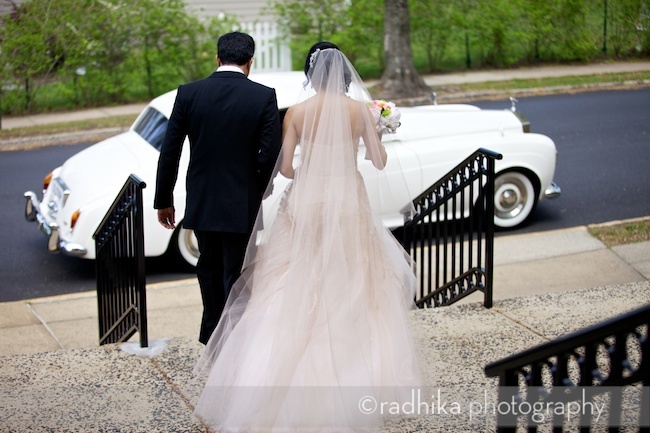 I’m not a very gushy person when it comes to dresses, shoes, fashion in general….my sister will attest to that….but I have to say that I was in love with Judith’s beautiful blush pink ‘American’ wedding dress designed by Monique Lhuillier. 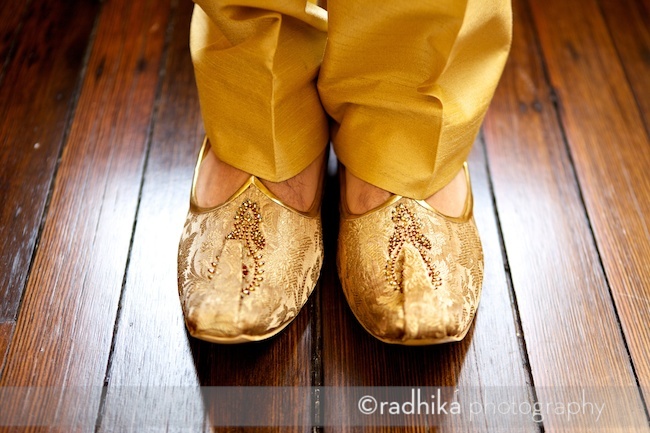 And the shoes were pretty spectacular too. 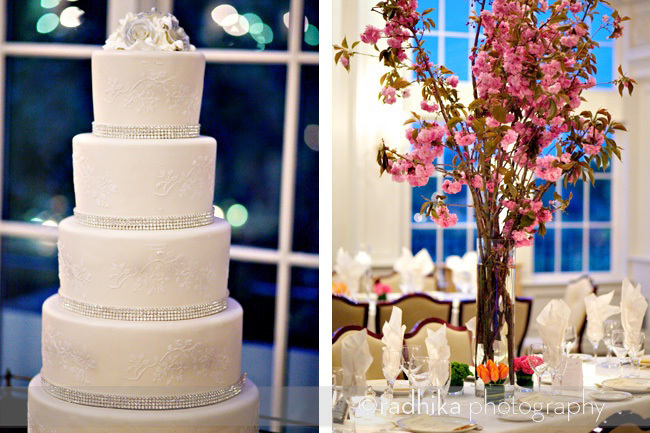 My decor favorite was the use of cherry blossoms for the centerpieces. 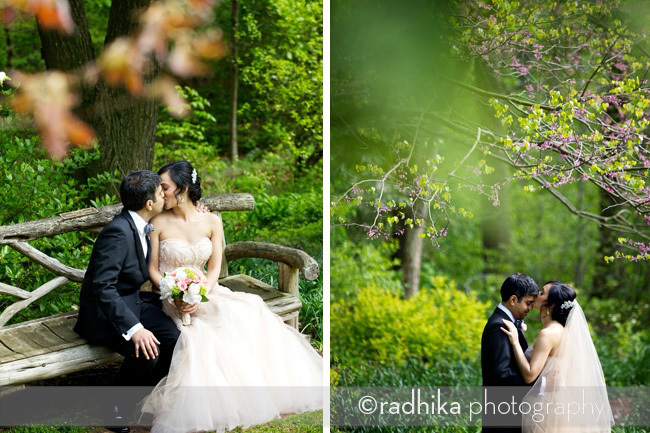 I always associate cherry blossoms with the beginning of spring. 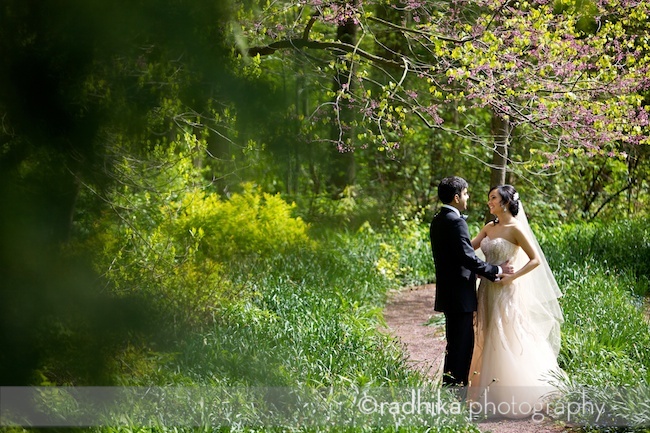 This is a longer post than most for good reason. 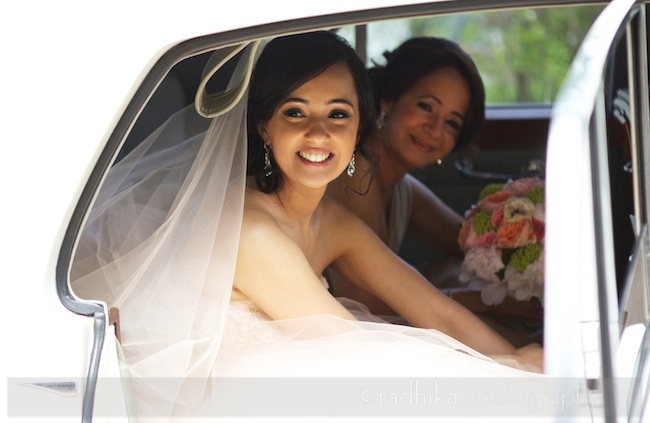 There was just a lot going on.